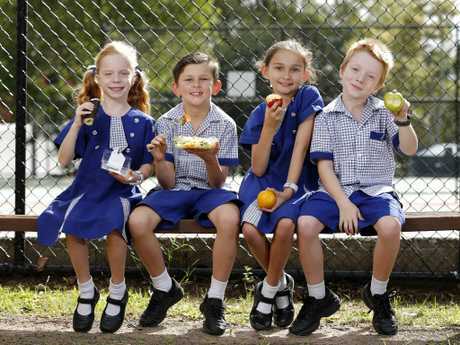 EXCLUSIVE: School canteens across Australia should be policed and forced to offer only healthy food in the fight against fat, according to peak health bodies. In the lead-up to the federal election, Deakin University's Institute for Health Transformation in partnership with the Obesity Policy Coalition has called for urgent action across schools to tackle the nation's obesity crisis. The organisations want to see a national approach to school food. It comes as a new obesity 'scorecard' is today released, revealing a haphazard approach throughout states and their schools in regards to canteen fare. The report gives New South Wales the highest grade for its efforts in tackling obesity but reveals other states - including Victoria, South Australia and Tasmania - are lagging behind. The failing states are also getting fatter. 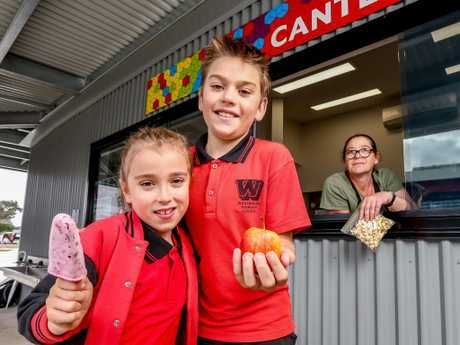 Report lead author Associate Professor Gary Sacks said every Australian state and territory needed to crackdown on canteens to ensure schools were healthy places for all kids. 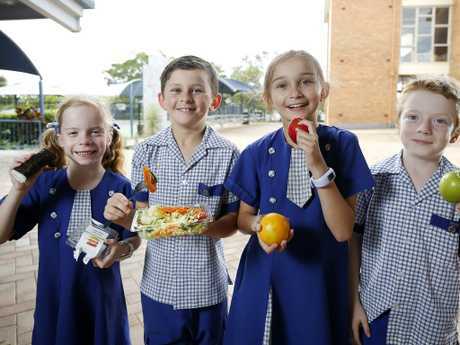 While most schools in most states had healthy canteen policies in place, the majority of tuckshops outside New South Wales were not policed and many did not follow their own rules, so continued to offer unhealthy food and drink choices, he said. "There should be no postcode lottery when it comes to obesity and obesity prevention," Assoc. Prof. Sacks said. "There's no consistency . . . governments must get better at making sure they're not just talking the talk but walking the walk." Federal funding of $100 million was needed to make a real difference in school canteens across the country, over three years, Assoc. Prof. Sacks said. 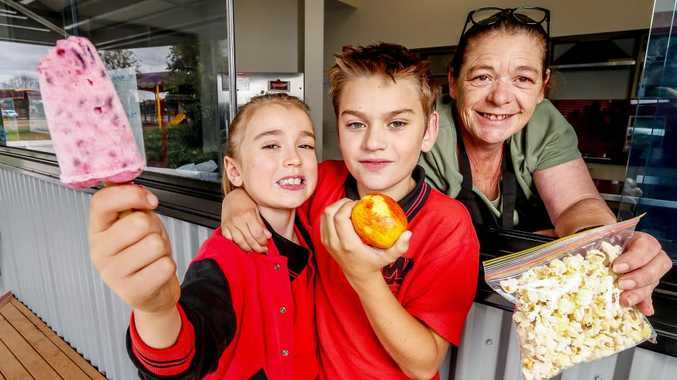 Harper Baer, 6, Fletcher Lee, 7, Ruby Lee, 9 and Oliver Baer, 6, pupils at St Thomas’ in Camp Hill, Brisbane, enjoy healthy food options from their tuckshop. "$100 million would provide dedicated resources to help each school ensure they offered healthy food to their students. 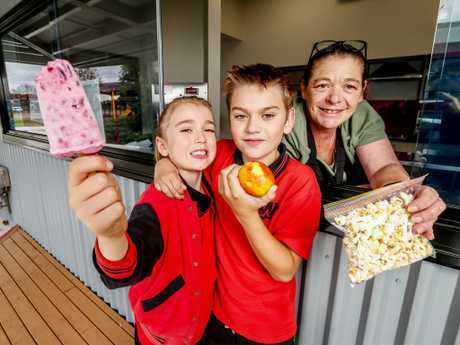 This money would cover grants for canteen equipment, healthy eating advisers who could support schools in moving to healthy canteens and strong incentives for every school to get on board," he said. Executive manager of the Obesity Policy Coalition Jane Martin said the current "piecemeal" approach across states could not work to turn the tide of Australia's obesity epidemic. "Good policies exist but they are not being implemented in a co-ordinated way," she said. Parents' Voice spokeswoman Alice Pryor said all children deserved the best start in life, and that included healthy school environments. The Federal Government should support parents and kids by mandating healthy school canteens, she said. Assoc. Prof. Sacks said each state government had made some progress in tackling obesity since the first 'scorecard' was released in February 2017 but the level of success varied. States which had taken the least concerted policy action were now fatter. New ABS data showed Tasmania had the highest rate of adults who were overweight or obese (70.9%), compared with ACT (64.0%) which had the lowest. The ACT scored highly on the obesity action report card, along with New South Wales, Assoc. Prof. Sacks said. 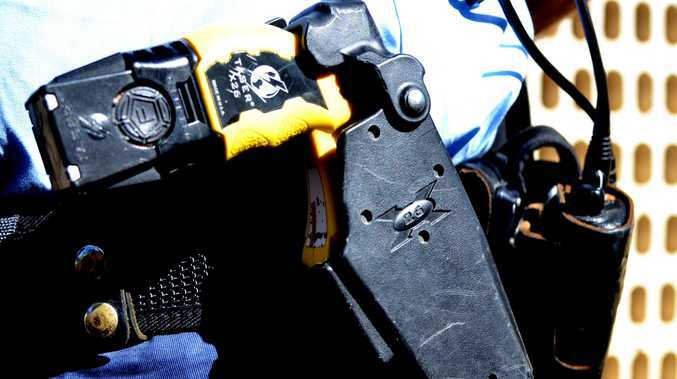 But Victoria, South Australia and Tassie had taken less action, and were losing the fat fight. The proportion of adults who were overweight or obese in Victoria had increased from 63.3 per cent in 2014-15 to 68.3 per cent in 2017-18, while in South Australia the figure had grown from 65.8 per cent to 69.7 per cent and in Tasmania from 67.5 per cent to 70.9 per cent. There are calls for children’s exposure to junk food advertising to be limited. "Our report released today shows that Victoria, South Australia and Tasmania are currently not prioritising obesity prevention as much as other states. This is at a time when their rates are increasing substantially," Assoc. Prof. Sacks said. Ms Martin said a consistent national approach was also urgently needed in relation to limiting children's exposure to junk food advertising. Federal Sports Minister and Minister responsible for food policy and rural health, Bridget McKenzie said she was committed to working with the states and territories to develop a comprehensive obesity strategy.